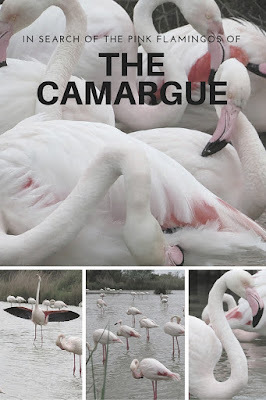 Have you ever considered visiting the Camargue in France? You should simply because there is just something awesome about pink flamingos. They're tall, they often balance on one leg, and they are hot pink. What's not to love? Ever since we moved to Dublin 5 years ago, we've entertained the idea of flying to southwest France to see pink flamingos in the wild. We finally visited the Camargue wetlands just outside of Montpellier on a broader visit to the Languedoc region of France this Spring. In this post, I'll share some photos of our visit to the Camargue Ornithological Park which is home to thousands of Camargue flamingos and other bird species including egrets, herons, and night herons. 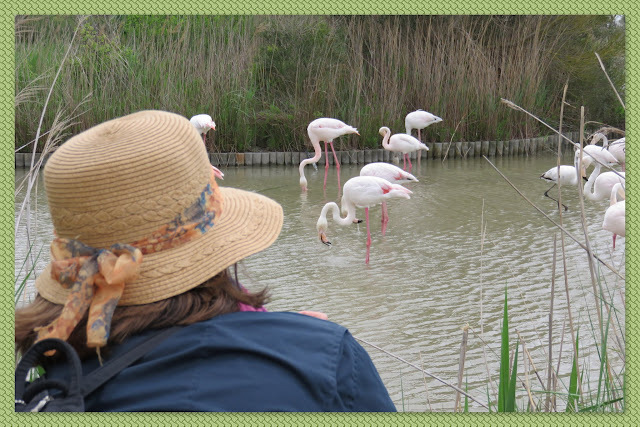 We arrived at the Camargue Ornithological Park and got our bearings using a small map given to us at the entrance. We came around to a small lake with an island in the center. Every available branch of the large tree in the center was taken up by a large nest. There were tens of egrets and herons incubating their eggs and nurturing their newly hatched chicks. 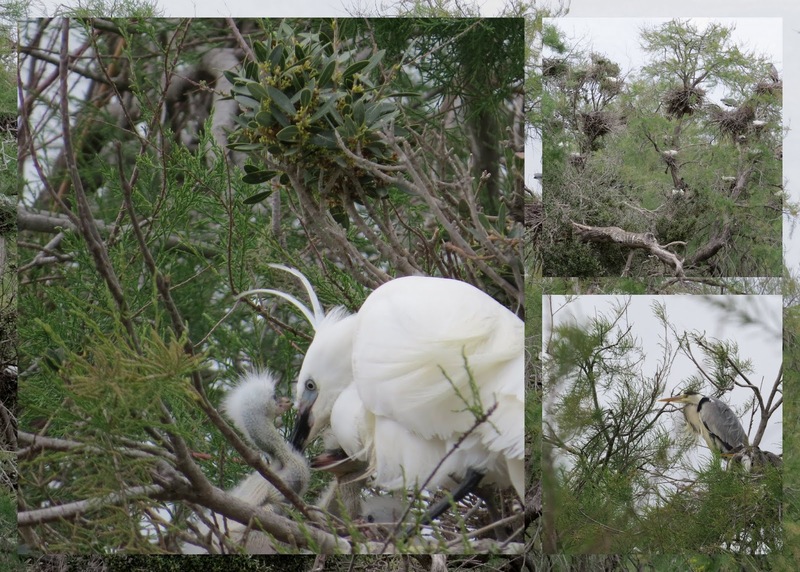 We even caught a glimpse of an egret feeding her young. So amazing! 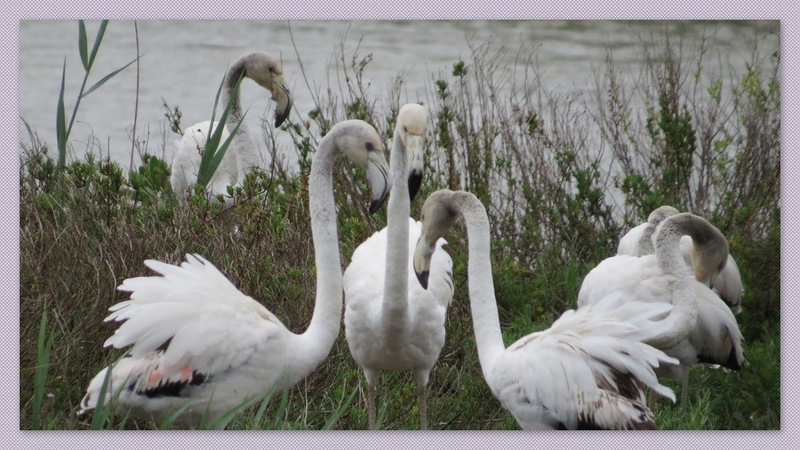 We also noticed that many of the egrets inhabiting the Camargue wetlands had a bright yellow patch on their heads. 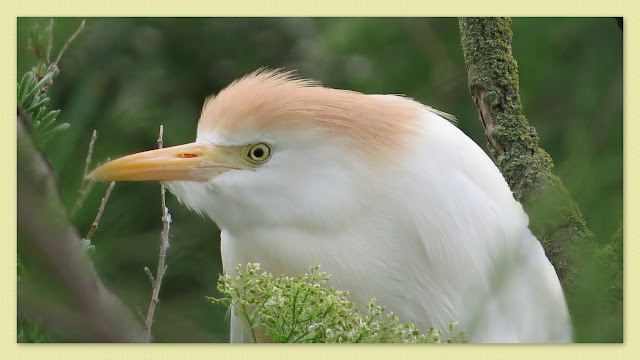 I soon learned that this was the breeding plumage of cattle egrets. Judging from the number of nests in the trees, they guys were definitely busy! 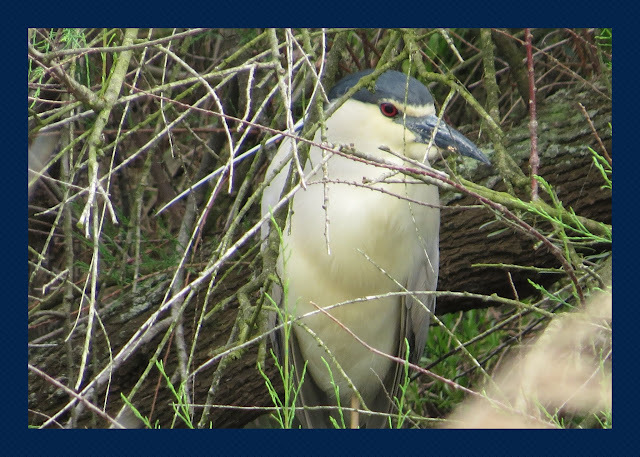 We even spotted a night heron lurking in the brush. 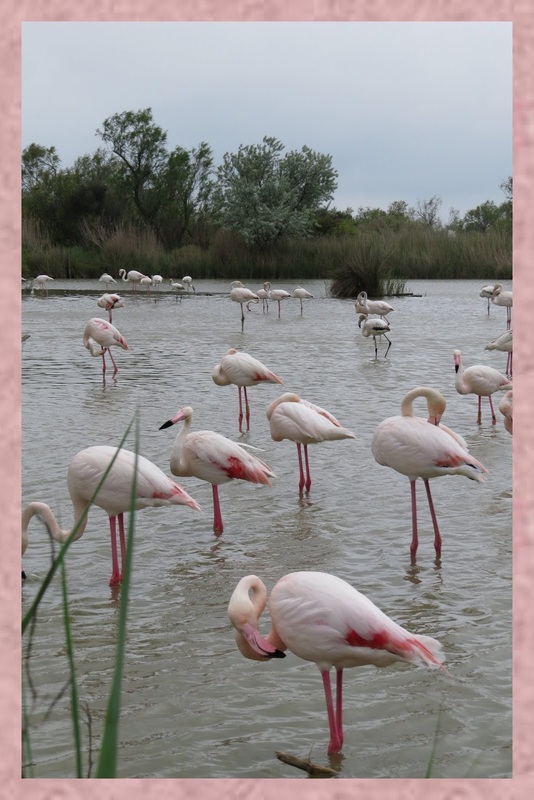 On to the Camargue flamingos! 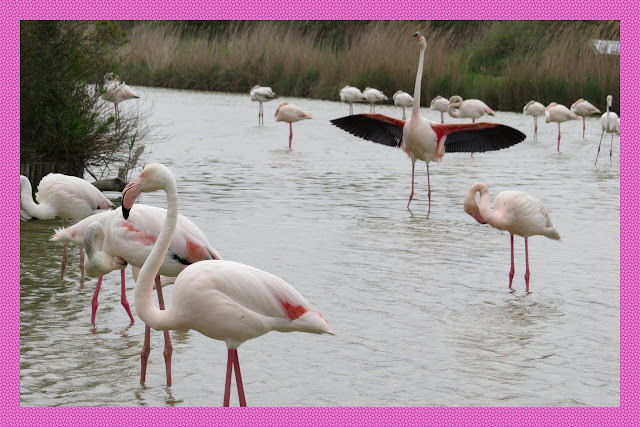 Parc Ornithologique de Pont de Gau features a loop trail around the reserve and over the course of a few hours, we saw many flocks of greater pink flamingos. 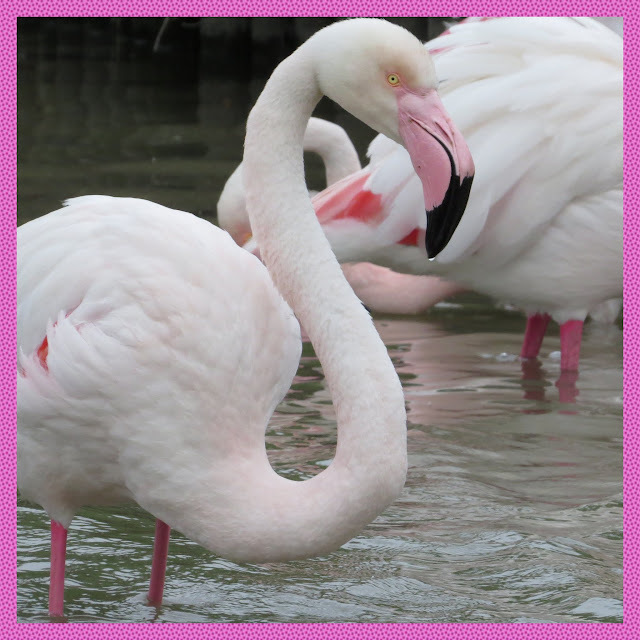 In many cases, we were less than 10 feet away from where the flamingos were wading. 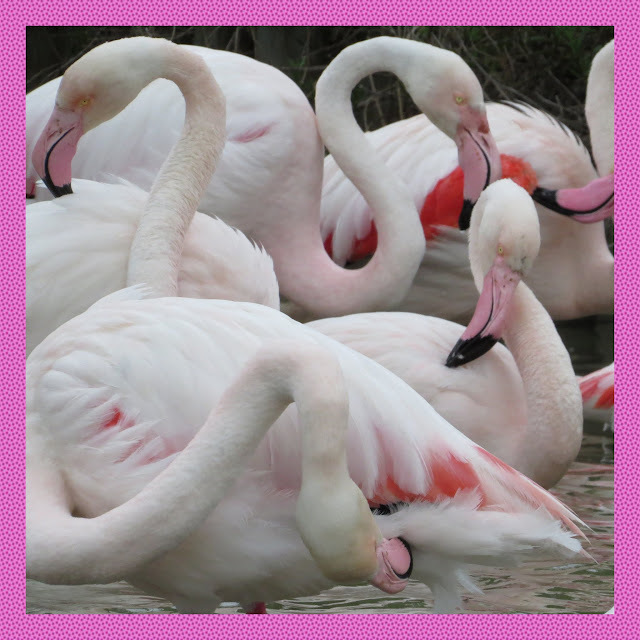 Bring a camera with a zoom lens because the Camargue flamingos are definitely photogenic. I am flamingo, here me roar! 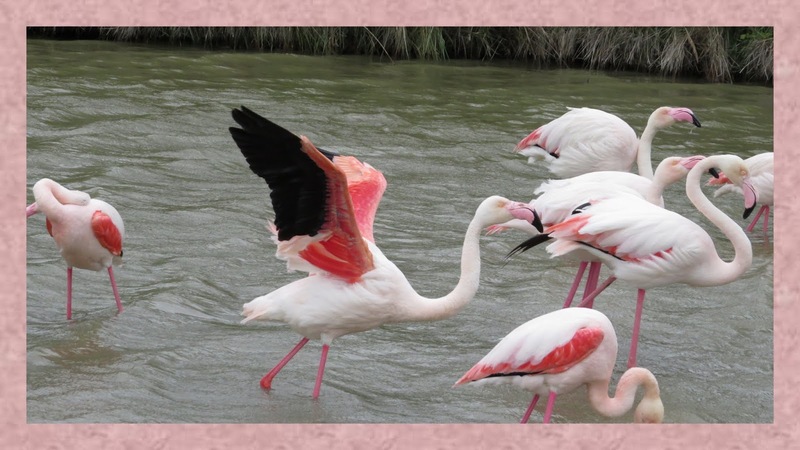 While most of the flamingos in the Camargue wetlands are pink due to their shellfish diet, the juveniles are easy to spot because they are mostly white. 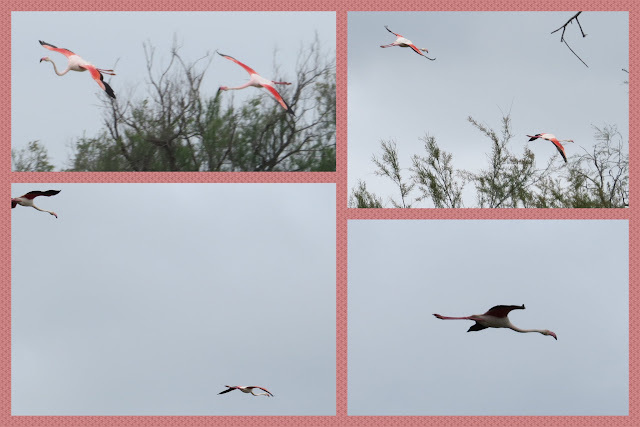 The flamingos mostly splashed about on the ground but occasionally they would take flight. These birds are simply amazing to see with wings spread soaring overhead. Here is a video that I created capturing the wild Camargue flamingos in action. I could have watched them for hours! Do you enjoy travel focused on birdwatching? If so, check out my posts about the birds of Patagonia and the birds of Uganda. 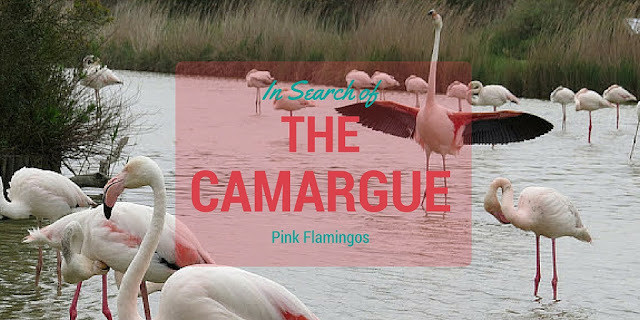 Read about where to see the Camargue Flamingos. Explore the Camargue Ornithological Park in France. 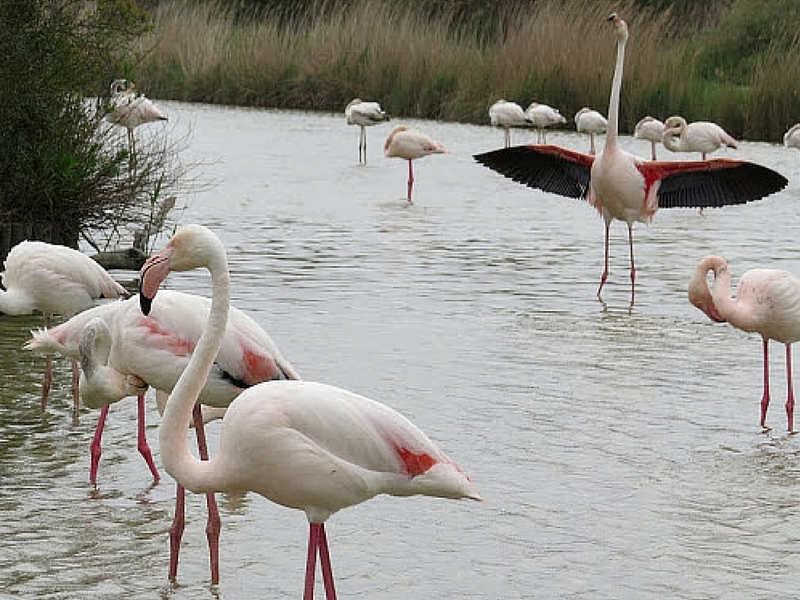 The Camargue wetlands is home to thousands of pink flamingos and other bird species.